I have been working in the insurance industry for over 20 years. I love working with people and assisting them to find the right coverage. My goal is to get to know my clients and their families on a personal level in order to strengthen our relationship and meet their needs. Paula was raised in Northeastern Montana and a graduate of Montana State University in Bozeman. 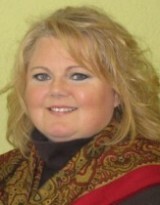 Paula is licensed in property and casualty insurance. Through continued education, she has obtained her CPCU and CIC designations.